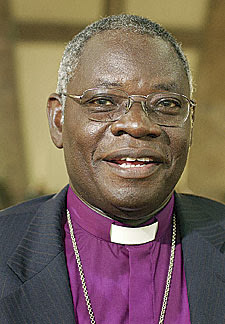 Retired Primate of Anglican Church of Nigeria, Peter Akinola who got kidnapped by some gunmen yesterday has been released. Peter Akinola was rescued along with his driver and daughter. Earlier reports only spoke about the Primate and his driver. Muyiwa Adejobi,the Police Public Relations Officer, said the former primate was rescued following a shootout with the armed gang, who abducted him along with the others, as he made to leave his Foundation centre. Adejobi, a superintendent of police said the gunmen were heading towards the border area with their victims. But they gave themselves away after they shot at a police patrol around Iboro, Yewa North LGA of the state. Police officers took after them. These kidnappers are working overtime to get enough money for the year. Evryday 4 d thief n 1 day 4 d ownr.